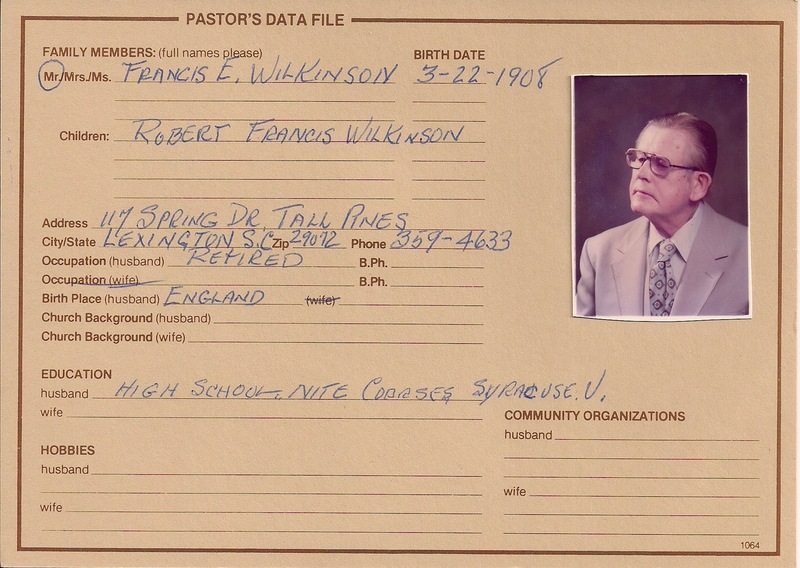 Here is the program from my grandfather’s (Frank Wilkinson) funeral. 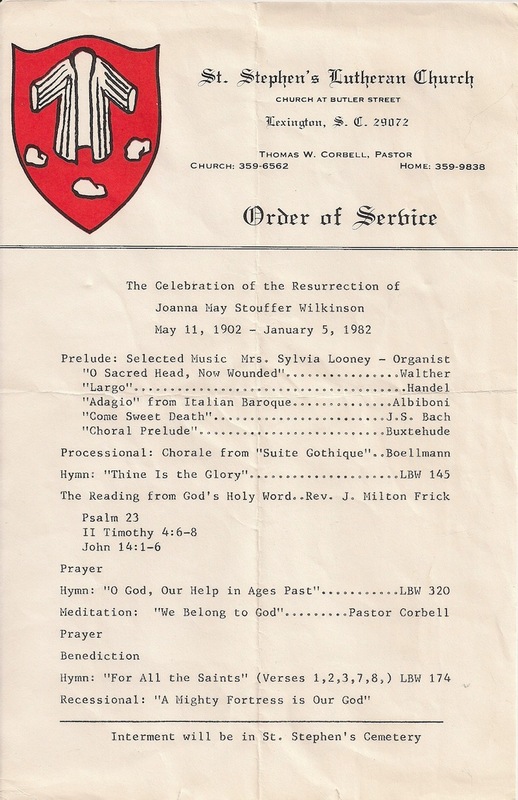 Bulletin from Joanna Stouffer Wilkinson’s Funeral. 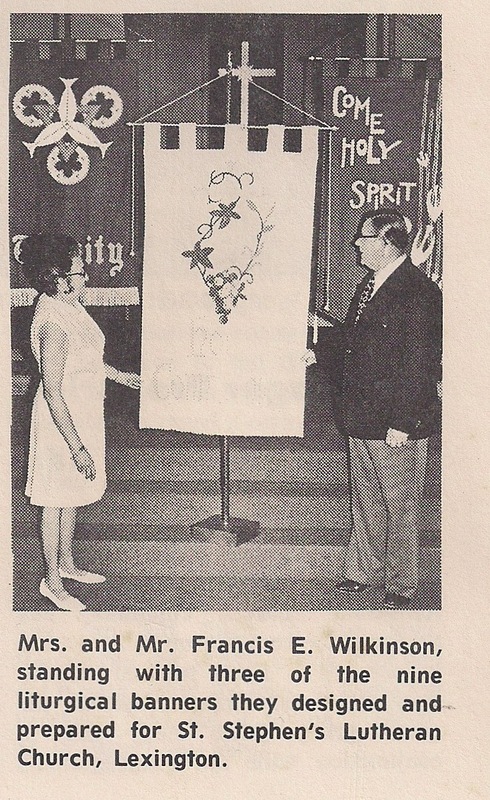 This is a booklet my grandfather (Frank Wilkinson) created for all the the church banners that my grandmother (Joanna Stouffer Wilkinson) made. 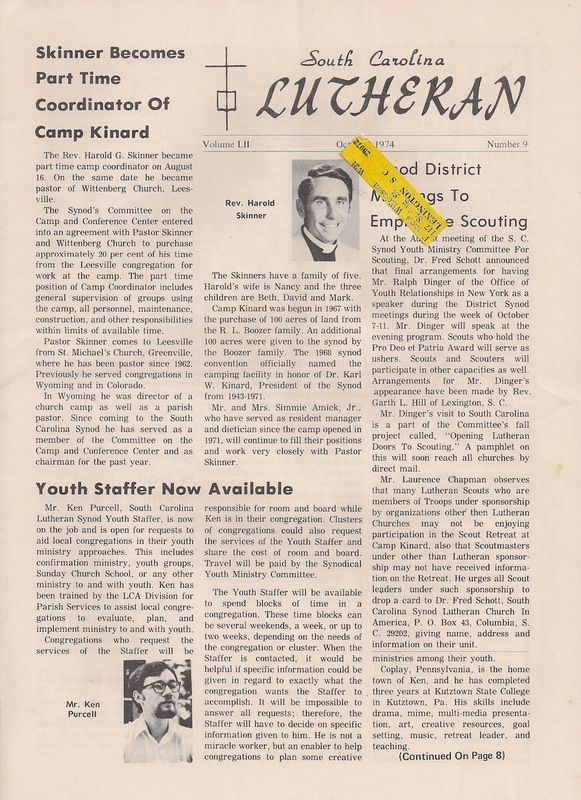 This was done some time in the 1970s for St. Stephen’s Lutheran Church, Lexington, SC.